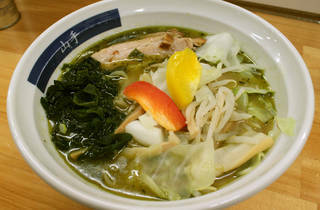 The Hongo branch of Yamate Ramen (also to be found in Komaba and Yoyogi-Uehara) is known for its unique menu. 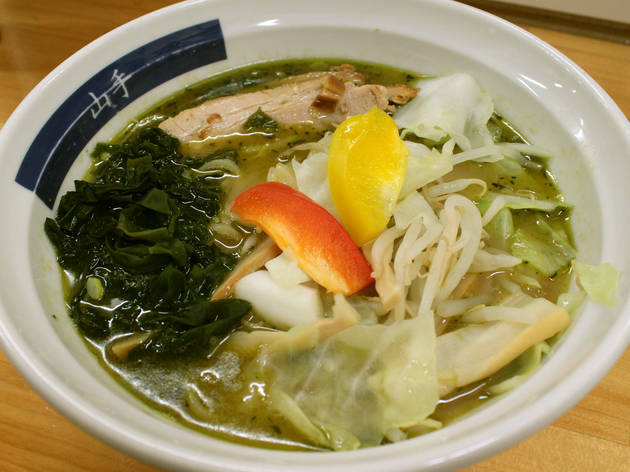 In pursuit of originality and new flavours, the shop offers creations like chilli pepper ramen, tomato ramen and noodles dipped in rich miso paste, not to mention the Midori Ramen – noodles served in a broth made from powdered euglena protists, i.e. tiny, single-celled organisms.